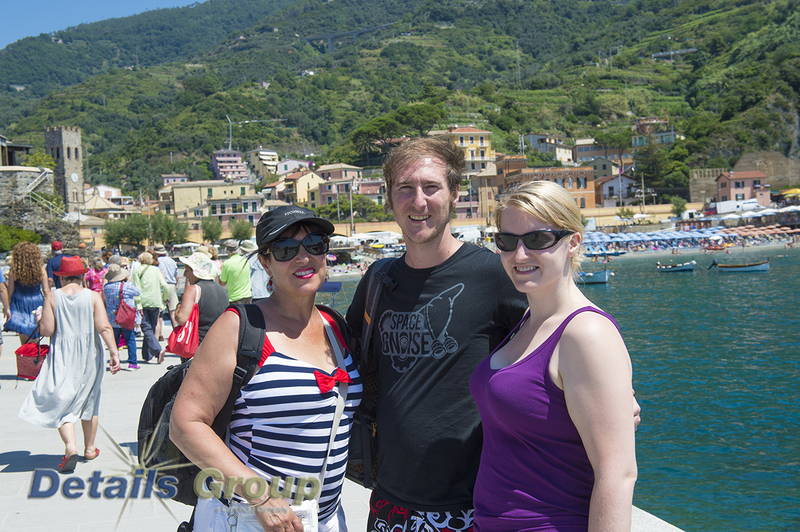 July 2014 Visiting the Cinque Terre by boat offers a very different perspective when you view and approach the villages from the sea. We really liked travelling between the villages by boat. 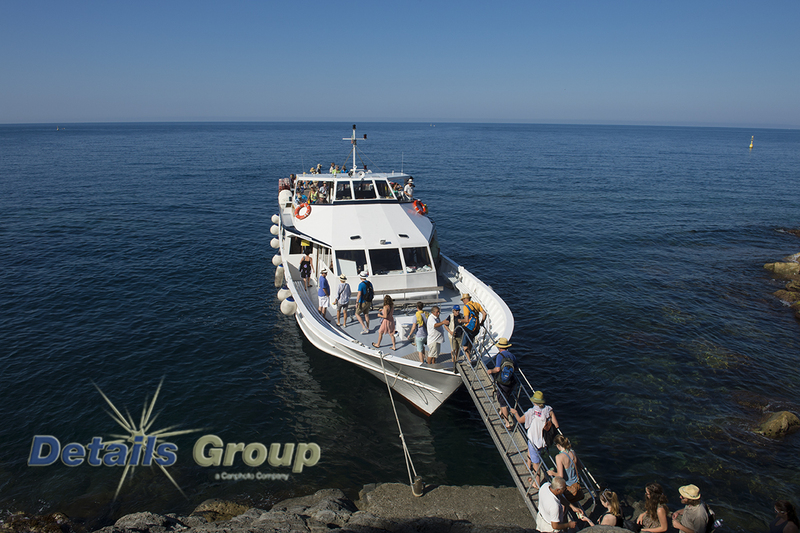 The boats run between Monterosso and Portovenere (also La Spezia) both directions and stop in every village except Corniglia. You can also take a boat tour from Portovenere. 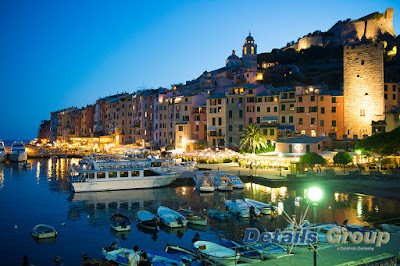 Corniglia (photo below) is quieter and smaller with not as many restaurants. We had lunch here and enjoyed a fabulous meal and a bottle (or two) of local wine. The walk up to the village is a challenge....there are a LOT of stairs, an we were there on a very hot day. Be prepared. 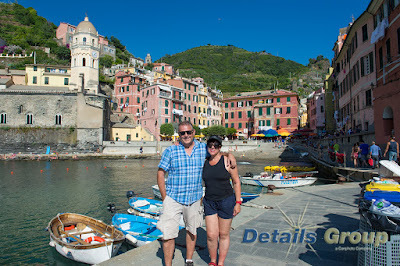 Vernazza (photo below) on the other hand is beautiful and as I said before, it is considered one of the most beautiful (along with Manarola) small villages of Italy. I still liked Manarola the best...Vernazza has many restaurants, bars colourful houses fishing boats and nets. It has a lot of tourists and is quite busy. 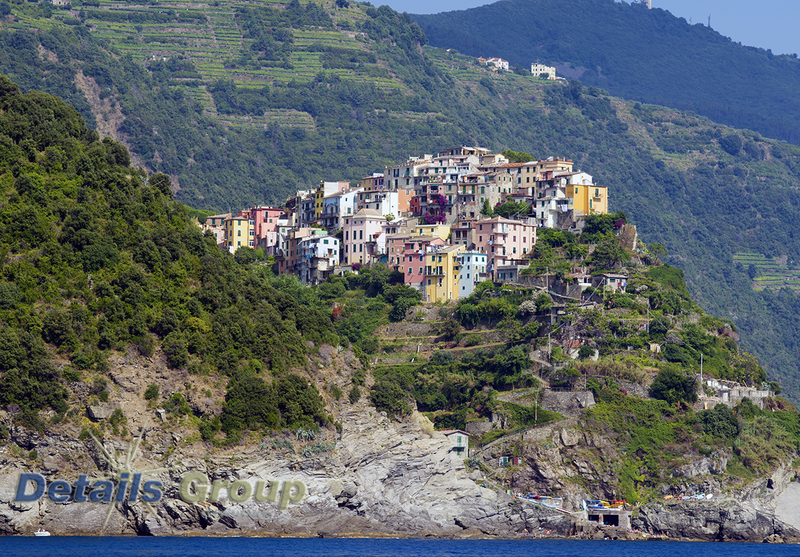 When you are walking around these villages, especially when you are climbing up stairs or paths, make sure to turn around and look back at the beautiful views. 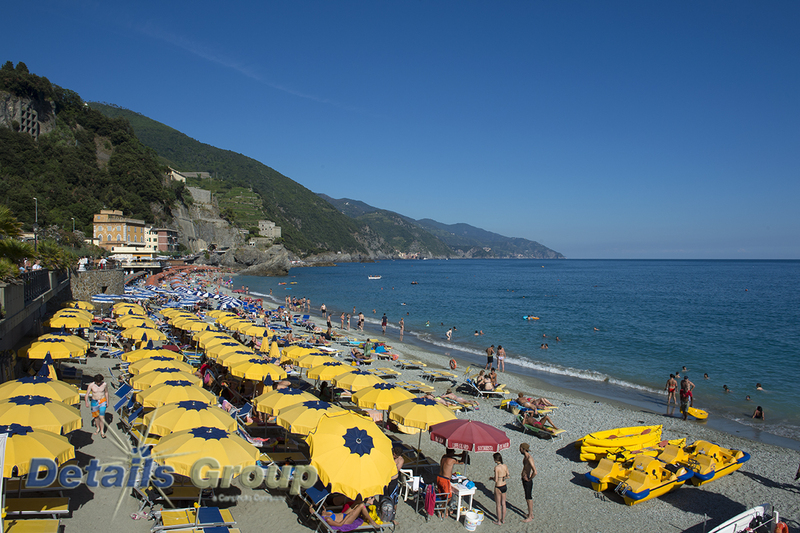 There is also a small sandy beach by the piazza. Our last stop was in Monterosso (photo below). It is more like a summer resort village with a big long beach with deck chairs and umbrellas. 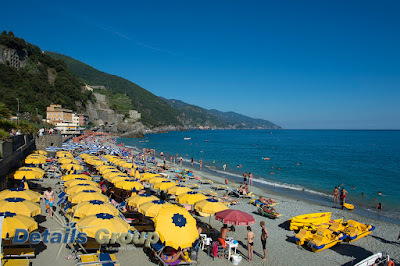 I think about 3-4 days is a good amount of time overall in the Cinque Terre. 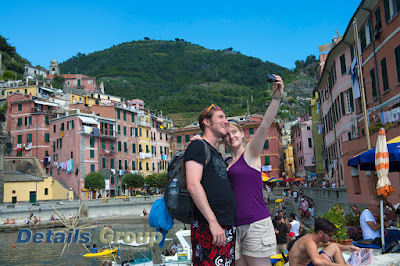 We did one day by train, visiting all 5 villages, and another full day on the ferry, visiting 3 of the 5. We returned by boat to Portovenere (photo below) and we thought that this would have made a great home base when visiting this region. This village is really a hidden treasure. We stayed here for dinner and really enjoyed the setting and the food. My name is Penny. I have worked in the travel industry for many years and have been fortunate to have had the opportunity to visit many wonderful destinations. Now I work for a Travel Agency, The Travel Agent Next Door, in Canada. Dan, my husband, owns a company, Details Group, and over the years has provided his services of photography, video and event production to many travel companies. He has photographed events such as the Olympics, Commonwealth Games, Pan Am Games and professional sports, etc. which has provided him the opportunity to visit many countries as well.